Hydrogen Fuel is deployed to Dispenser via a Hydrogen Fuel Trailer parked at your site. The on-site Fuel Trailer is swapped for a full trailer on a regular basis, which also can be included in the pay-per-hour charge. 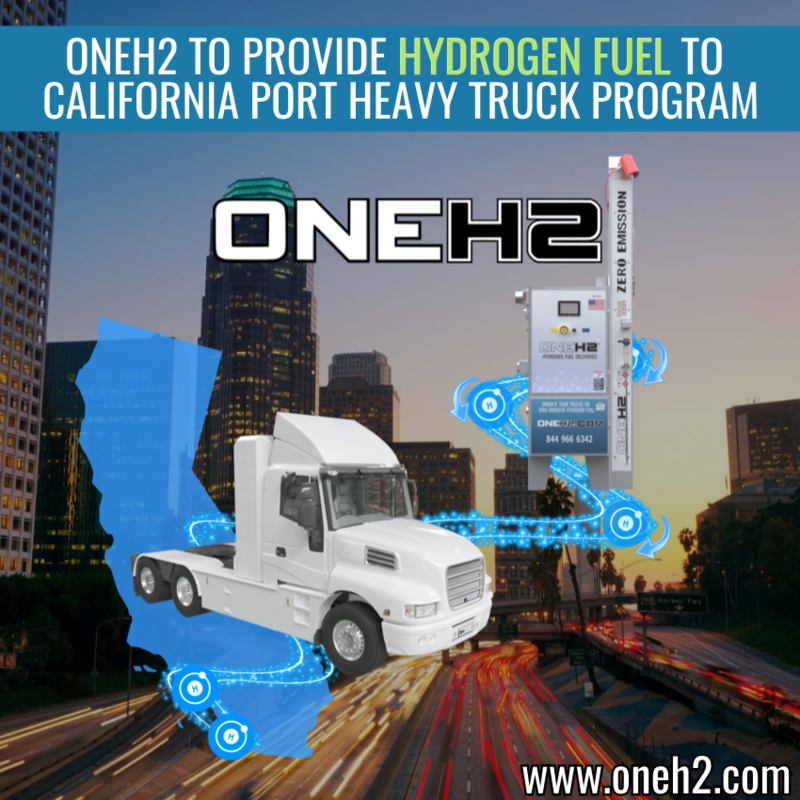 Hydrogen power is the only zero emission "refuel & go" technology available to fuel forklifts and heavy trucks. It has the uptime efficiency of internal combustion with the clean running and low maintenance of battery electric vehicles. It is ideal for medium to high use industrial & commercial vehicles, both on and off road. The simplest way to explain a Hydrogen Fuel Cell is to think of it as an electricity generator in a box that goes into any brand of electric forklift. A key benefit associated with hydrogen fuel cells is that refueling takes a matter of minutes, like your car, as opposed to multiple hours on a charger plus weekly equalization. And, the only byproduct is water. 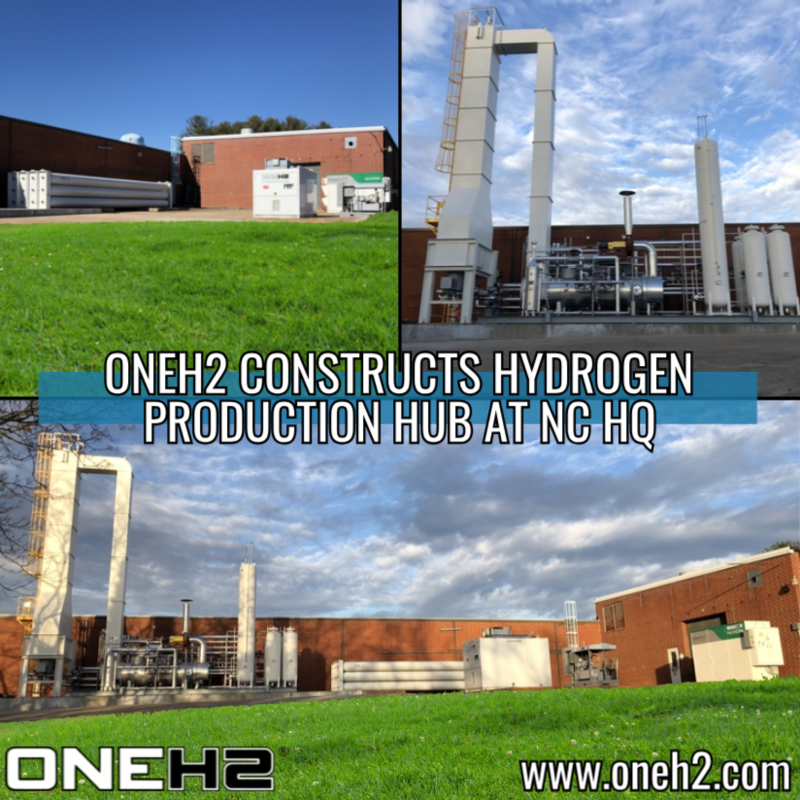 If you are operating internal combustion equipment, Hydrogen is an easy conversion. Many large companies have started implementing Hydrogen Fuel Cells over the last decade because they are safer, more cost effective, and better for the environment. The challenge for these companies, traditionally, has been having only one refueling option - which is to have liquid hydrogen delivered to them and then converted to a gaseous high-pressure fuel using a "mini-plant infrastructure" located at their site. These gasification plants are very costly (millions of dollars) and are typically encumbered by a 10-year contract with a Liquid Hydrogen Gas supplier. This causes vulnerability and puts you in the fuel business. OneH2 has solved the refueling issue. Our solution is mobile and scalable, involves no infrastructure or long-term contracts. With OneH2, you only pay for what you use. We deliver hydrogen fuel that's ready for "immediate use" - already converted to high-pressure gaseous fuel that takes only minutes to dispense. Our system monitors your daily fuel usage through web-based telemetics to alert us when to schedule the next fuel delivery and trailer swapout. 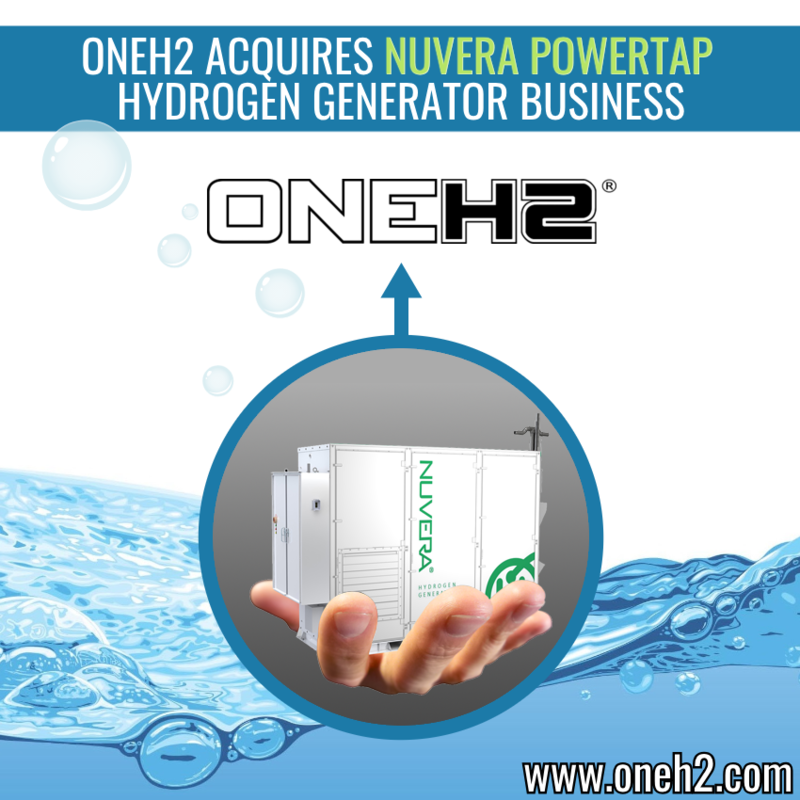 With pay-for-use hydrogen power and the option of quick and easy indoor refueling, our revolutionary hydrogen power distribution system is a true game changer. Just pay for what you use and we guarantee the production, delivery, and monitoring of hydrogen fuel. Quick and safe indoor refueling with zero emissions. Can also be used outdoors for heavy equipment. Reduces emissions in the workplace. Critical for socially responsible companies aspiring for greater sustainability.